ReadWave has just announced the launch of a new reading widget, that aims to revolutionize the way that stories are shared and authors promote themselves online. The widget allows bloggers and website owners to embed stories online in a compact form. The ReadWave widget is the first reading widget to allow readers to “follow” the writer. When a reader follows a writer they are added to the writer’s fanbase and can receive updates on all of the writer’s future stories. The widget is designed specifically to help writers build up a fanbase and grow their readership online. The widget is also the first to be directly integrated with Facebook, so that content is automatically shared via social media. Existing widgets use a predefined page size, so when the widget is made smaller the text is made smaller. The ReadWave widget is the first reading widget where the width and height are fully customizable and the text automatically adjusts itself to fit the space available. ReadWave is a community of readers and writers who love to discover and share new stories from contemporary writers. Readers can access thousands of stories and read them for free on mobile or desktop. Writers can use ReadWave to build up a fanbase and market their stories online. ReadWave puts writers in touch with the readers who are just right for them. 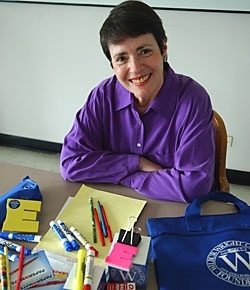 Elynne Chaplik-Aleskow is Founding General Manager of WYCC-TV/PBS (Chicago’s Public Broadcasting Station) and Distinguished Professor Emeritus of Wright College in Chicago. Shelagh: Please tell everyone a little about yourself, Elynne. My story, A Tale of Two Vardas, was published internationally December 2009 in the Jerusalem Post Magazine. The sequel, A Journey of the Heart, was published in The Jerusalem Post Magazine January 2010. June 1, 2009 marked the recording debut of my audio fiction story, Professor Gabriel and her 101 Posse. The story airs on The Deepening Website (World of Fiction) and is recorded by D. L. Keur. I am married to my best friend Richard Noel Aleskow. Elynne: I have been writing since I was around nine years old. As a young girl, I used to write stream-of-consciousness prose that bordered on poetic prose. That writing was just for me. It was a way to express my most personal feelings as I was growing up. Two and one-half years ago I decided to retire from college teaching. My husband wisely suggested that I have a plan in mind for retirement and asked me what I would like to do. Having had successful and fulfilling careers in Public Television and teaching, I answered that there was a dream I had always wanted to do. I wanted to write and publish my stories. And so I began my third career. I had always been a reader of the short story genre. Artistically this genre gave me great pleasure as a reader and writer. The only difference was that my stories were non-fiction. With the experiences I had lived and knew about, non-fiction was a natural and exciting genre for me. I could never imagine in fiction writing some of the events that I had lived. The first year and one-half of my writing, the stories poured out of me. I was productive and inspired and wrote everyday. Then my submissions turned into published stories and I have not looked back since. Elynne: Many of my non-fiction stories are inspirational. I want my readers to be moved and to understand and empathize with the reality I am conveying. I want my stories to offer my readers insights and to entertain them. Many of my travel stories are very funny recounting the travel adventures of my husband and me. Shelagh: Briefly tell us about your latest stories. Elynne: My stories are presently published in seven anthologies and several magazines including the international Jerusalem Post Magazine. Two very important stories about my life, The Needle in the Haystack, the story of how my husband and I met in middle age and, My Gift of Now, about my retirement and the beginning of my writing career, have just been published in the anthology, Contemporary American Women: Our Defining Passages. I intentionally have chosen to submit my stories for publication in a variety of anthologies because I feel that they will get the best distribution and variety of readership this way. Each editor and publisher along with the contributing authors works hard to market each anthology. I believe it is an advantageous way to establish an audience for one’s work. Shelagh: How are the anthologies marketed? 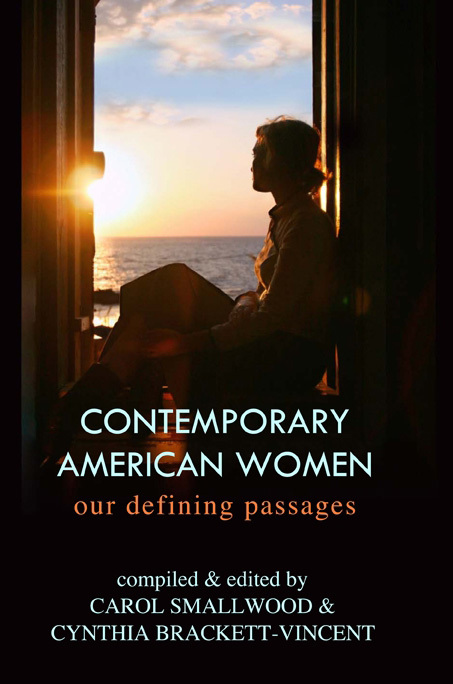 Elynne: Contemporary American Women: Our Defining Passages (All Things That Matter Press) is being marketed to the public as well as to Universities and Colleges as a text for Women’s Studies Programs. That thought thrills me. I see this book as an eloquent mentor to the next generation of women. It can be purchased from the publisher and at Amazon.com. Elynne: My point of view preference in writing is first person. There is a personal quality and tone that a first person narrator is potentially able to convey in telling the story. As a reader, I have always been attracted to and interested in storytelling and the narrator’s role and effectiveness in this process. In performing my stories, I find the audience engages naturally with a first person narrator. The first time I performed a program consisting solely of my own published stories was a moment I will never forget. I had achieved my dream. For me performance of my work is a natural extension of my art as a writer. To perform my work for an audience establishes a connection and bond between them and me as I function as both the writer and the performer. The audience feedback is immediate. Will they laugh where I intended them to laugh? Will they feel moved as I intended them to feel? Will my interpretation of my story parallel their own interpretation as readers? As an artist, combining writing and performance is an exquisite challenge. Elynne: I have received many wonderful and insightful reviews about my writing and my performing. I would be happy to share one of each. The following is a review of my audio fiction story, Professor Gabriel and her 101 Posse, which is available at www.thedeepening.com. It is a short story that lends itself well to being read and recorded. It was recorded by D.L. Keur. Elynne’s vivid and creative story touches the reader with emotion, just as Prof. Gabriel touched her students…The story of LK and the kidnapping would make an inspirational anticipatory set for any curriculum on creative writing … punctuated with chapter-like titles; i.e. “The Attic”, “The Billboard”, “The Conversation”, etc. the reader is held captive. I love how the story of Miguel is woven as a sub-plot to help clarify the Prof’s “mission” to help LK. The wisdom that the writer (and Professor Gabriel) imparts throughout is invaluable. “My burden was to help him lose his arrogance.” … “She taught us how not to be afraid” … Listening to her story was a very “deepening experience”. Thank you. Most writers are Sooooo disappointing as speakers but you are dynamite wrapped in silk. Elynne: My most current writing project involved a Facebook experience that became two non-fiction stories published internationally in The Jerusalem Post Magazine. After the first story was published, the Jerusalem Post Magazine editor invited me to write a sequel. The entire experience from living the stories to writing them was magical. And gaining an international audience through this paper’s print distribution and website was an invaluable opportunity. I have stories accepted in two more anthologies that will be out toward the end of 2010. I am always either thinking about my next story or writing it. March 22nd I have been invited with other contributing authors to the University of Maine to perform my stories in Contemporary American Women: Our Defining Passages. Both Cynthia Brackett-Vincent, the editor of Passages, and I are contributing authors to the anthology, Forever Friends edited by Shelagh Watkins. Shelagh: Thanks for joining us today, Elynne. Elynne: I am delighted to be interviewed by you. Thank you for the invitation.